August 31, 2010 January 20, 2012 - by admin - 23 Comments. Today, we are going to talk about speaking English. Now, I have a question for you. After many years of studing grammar rules and vocabulary lists, Can you speak English as you want. If you say no, why not? That is the key to speaking English fluently speed. The problem is the learning methods you learned in school caused you to be slow. You were trained to think and analyze. As a result, you have trouble understanding quickly. And when you try to speak, you often translate from your own native language. Even worse, when you speak you often worry about using correct grammar. You are thinking, thinking, thinking all the time. This is why both your understanding and your speaking are so painfully slow. 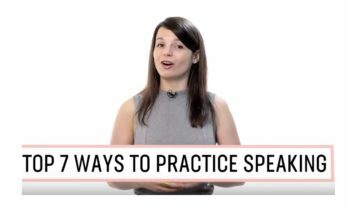 I created the 7 Rules email course to teach you how to speak English fluently. The learning methods you learn in the course are totally different than what you used in school. These methods are designed to give you true English fluency. Using the 7 Rules, you change the way you study and your listening and speaking speed gets faster, and faster, and faster. The more you use the 7 rules, the faster your speech becomes. Your English speaking also becomes automatic and that is the true key to speaking English fluently. You speak automatic English when the words come out of your mouth without thinking. No translating. No worrying. No thinking at all. Just fast, fluid, effortless speaking and listening. i have studied a lot of grammer books and learnt how to create sentences. Hello ravi ghosh, your grammar is so good, you understand what you read and listen. However, you can not speak English as you want just like many other English learners. Because, you learned English from textbooks. You learned with your eyes. I recommend you to change your way to learn English. If you want to speak excellent English, you must learn English with your ears (by listening a lot) Just like children do. So Click here to learn Effortless English Rules. To do that, you can use Effortless English lessons and Power English Set. These are very powerful English mp3 lessons to help you speak English easily. Can’t i speak business English .Please Help me for my speak well. any video cd or mp3 casset. Hi Manoj patil, I suggest you to use Effortless English mp3 audio lessons. 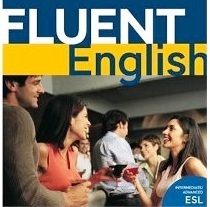 This is very useful listening English course to improve your English speaking. Click here to view more details. Hello… I want to speak in English fluently. How can i do this? Please suggest me with any type of video clip. It’s really needed…..
Hello Shishir, you should use Effortless English system when you study English. These are very powerful English lessons to help you improve your English speaking. Click here to watch the video. Speaking English to someone is not a problem for me, and framing a sentences also is really a easy task for me. But i found out that my English fluency was bad when i took up a versant online test over the phone. I got only 51 to 55 where the cut off is 57 and i really need to work on it to speak well in order to crack my online test to get the job confirmed. The area where the marks where going down is fluency and pronunciation. Please can you help me out with this? Eagerly waiting for the reply as i have 4 days to practice. Hi Jeralene, İ highly recommend you to use Effortless English fluency course Power English lessons. These mp3 listening lessons will help you to improve your English speaking. hi, i want to speak fluent english actually my exact problem is in my school their is no good education every teacher use to speak in other language like kannada, hindi few times in english so i hesitate to speak english in crowd placeses, my grammer is very bad. and my parents can not afford me to enjoy english class im really worried so please, how can u help me…? plzzzz……..
i have one poroblem in speaking i 9 how to speak but men thing is that whenever i speak eng infront of my senior then i lose my confideance sir please tell me what to do it very need for me coz i hv to go to bpo sectore please do something please………………………………………. Hi Zafar iqbal, i highly recommed Effortless English course for you to improve your confidence. Click here to vies more details! Learning to read English and write it is much different than actually speaking it with the proper aspects that are needed for a good understanding. When you learn to read and write English, you learn about the grammar rules, the technicalities, and how it is supposed to read and look on paper. But when it comes to actually listening to someone speak, you need to pay attention to the grammar, to how the pronounce words, and whether they are making a statement, and exclamation, a demand or requiring and answer to a question. In addition to this, being able to respond with speed and understanding takes a lot of time, and a lot of practice. I would suggest learning from videos, or from an actual native speaking person, as this takes a lot of time (sometimes years) for the non-native speaker to get it fully. i am laxmi. i want speak English fluently. i want to develop English speaking and grammatical background also. give me good suggestion. Hi laxmi, the best way to speak English fluently is listening easy and interesting lessons. But not textbooks. So you should try Power English course to improve English speaking. 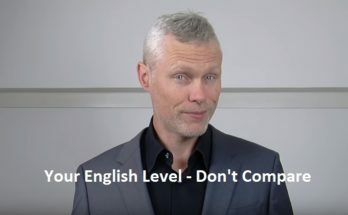 And I highly recommend you English class 101 online course to improve your English grammar and other important skills. i want to speak in english very fluently but never i will not try till this time. pls tell solution time t, Now i do phd . that time present in my paper in english . i very worried that time because will not make sentence fastly and talk. pls solve this problem. i realy want to speak english very well .bt i cant speak english very much .pliz helpme how to speak english very well. Hi Johnny, first of all you should consider to make practice of English listenin repeatedly. You may find very useful Englsih listening and speaking lessons at the Learn Real English course.